In Texas, the summer is hot. Duh, ok. 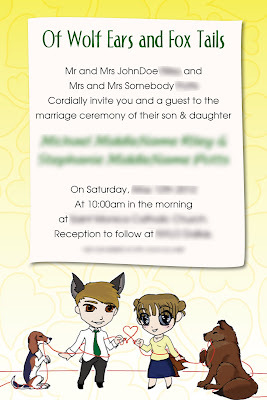 So this post is about those wedding invites that I keep mentioning I was working on for friends. I thought I would share the two concepts I came up with. One fit their theme just a bit better, so obviously that is the one they chose. The other... well I will get to that. Here is the one they chose. 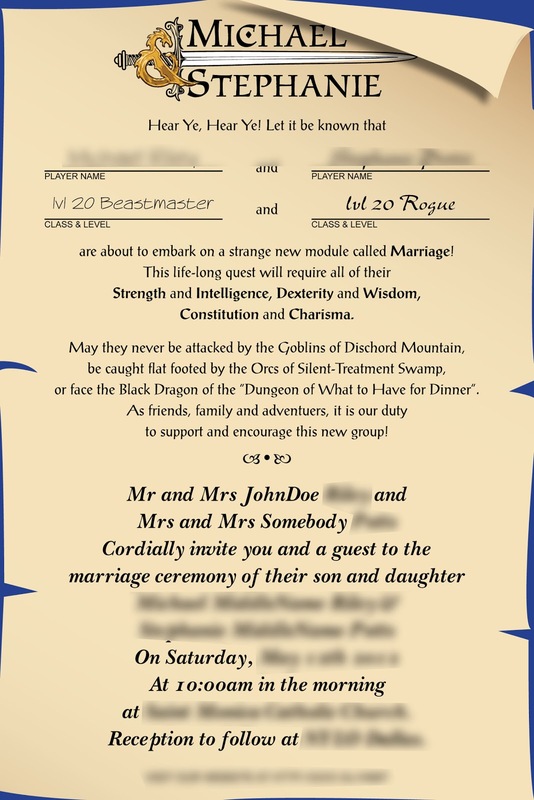 With their theme of "Gaming" a little nod to a classic DnD campaign was all that was needed to add a little humor to their invites. I am not ashamed to say that I was just a little bit loopy when I wrote the text, but I still find it funny, but at the same time, it is my earnest wish for them. Being married myself, I have faced down those opponents in the past and continue to do so regularly. Here is the RSVP to match. 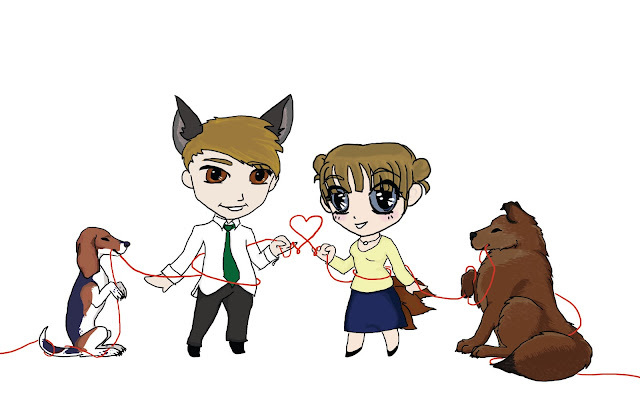 And finally the second version. This one was a lot more summer and anime themed. I spent a lot of time on those little caricatures of them and their dogs. 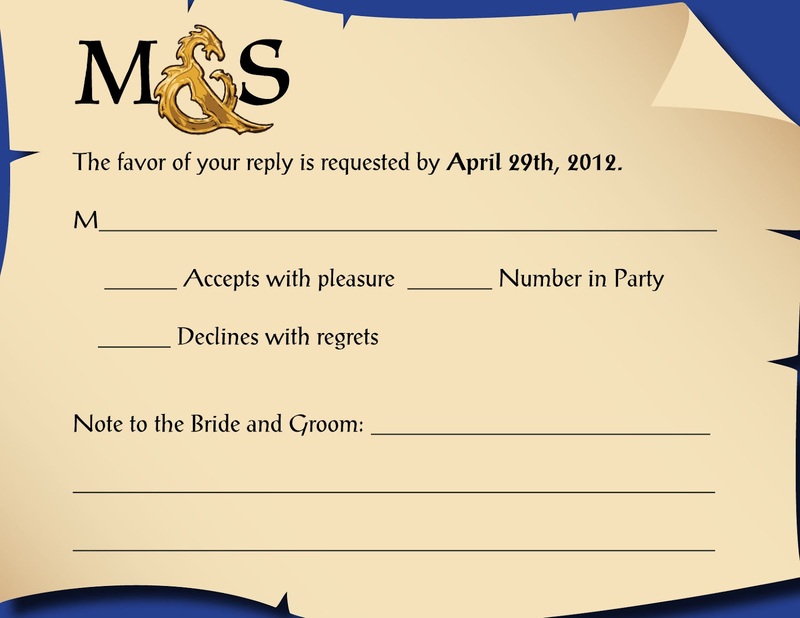 I intend to have a nice one printed up and framed as a wedding gift.